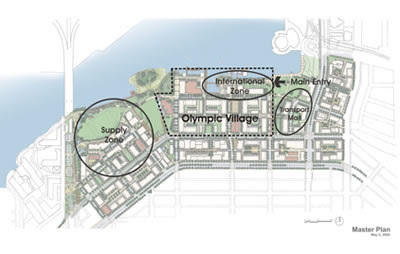 Following up on a post regarding the recent article that featured the work of PWL Partnership, some more in-depth coverage of the work surrounding the Southeast False Creek Olympic Village for the 2010 Winter Games in Vancouver. 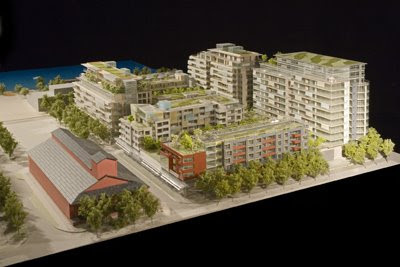 Beyond 'green' as a strategy, this site is literally green with rooftops and open space around a dense village of knitted mixed-use buildings. 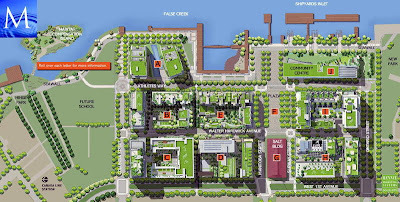 Some info on the village from Skyscraper City: "The 16 building, 1.4 million square foot, single phase Olympic Village is being built to the LEED Gold standard while the Community Centre is being built to LEED Platinum. 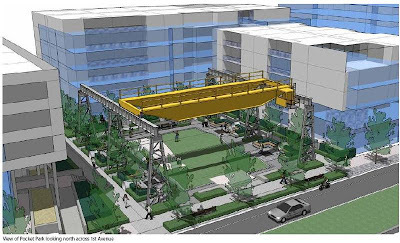 The building that will become seniors' housing is going to attempt to reach the Net-Zero standard, which represents annual energy, water, and carbon neutrality. All of the buildings will feature green roofs, passive solar design, beyond-code insulation and glazing, and low/no VOC paint and carpets. Rain water will be retained in cisterns to be used for irrigation of the green roofs and landscaping. 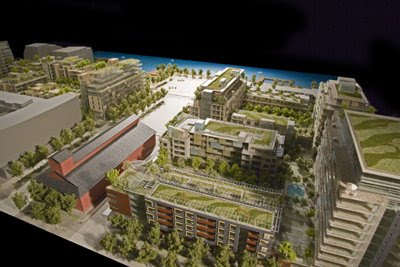 The buildings will be heated and cooled using an in-slab hydronic system connected to a hybrid district heating/cooling system powered by high-efficiency natural gas boilers and heat exchange system that will use both ground-source heat pipes and an innovative heat exchange system tied into the sewer pipes to recover their latent heat. Electricity comes from local hydroelectric dams. A streetcar will run through the neighbourhood and connect it to two nearby rapid transit stations. All parking is underground and well below average in its parking to dwelling ratio." 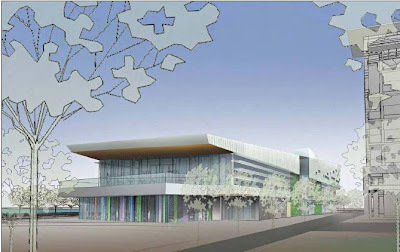 In addition, the proposed LEED Platinum community center is draped in green roof and living walls. 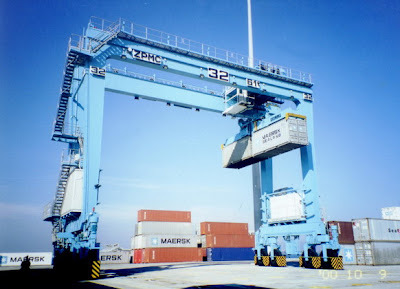 The real deal (or a version thereof) of the shipping port cranes.